Kent, Washington – PetroCard, a commercial fuel distributor based in the Pacific Northwest, announced today that Laura Yellig has been named president and chief executive officer. She succeeds Scott Walters who retired after more than twelve years with the organization. “Laura brings an extensive background in fuels and logistics that align well with the strong commercial fuels organization that Scott, his predecessors, and the employees of PetroCard have built. With her leadership, we’re confident we will grow PetroCard and position the business for continued success,” said Bob Cox, president and chief executive officer of Bristol Bay Industrial Fuels, PetroCard’s parent corporation. Ms. Yellig is a petroleum industry veteran and brings more than 20 years of leadership experience in fuels sales, supply, and distribution. She joins PetroCard from her position as vice president of Crowley Fuels, a full service fuel sales and distribution company in Alaska. 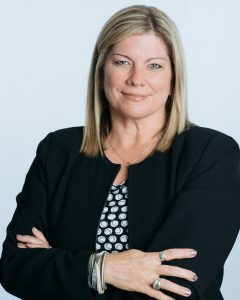 Ms. Yellig previously held leadership roles at Shell Oil Products in the Pacific Northwest as region manager of wholesale and retail sales and operations and in national capacities where she led Shell’s retail operations support, joint venture pipelines, and national order fulfillment and distribution businesses. Ms. Yellig holds a Master of Business Administration from Rice University and a Bachelor of Business Administration – Operations Management from New Mexico State University. PetroCard, based in Kent, Washington, is a leading fuel distributor, selling fuel to commercial fleets through a chain of unattended Pacific Pride and CFN cardlocks and retail facilities while also providing on‐site mobile fueling services to fleets in Puget Sound, Spokane and Portland. In addition PetroCard sells branded and unbranded bulk fuels to resellers, government entities and other commercial companies. Today the company operates 60 cardlocks – 25 sites in the greater Seattle, Washington area, 3 sites in Spokane, Washington and 32 sites in Oregon, making it one of the largest cardlock operators in the Pacific Northwest. PetroCard also operates 20 Clean N’ Green facilities that sell compressed natural gas in locations throughout the U.S. For more information on PetroCard, visit www.petrocard.com.